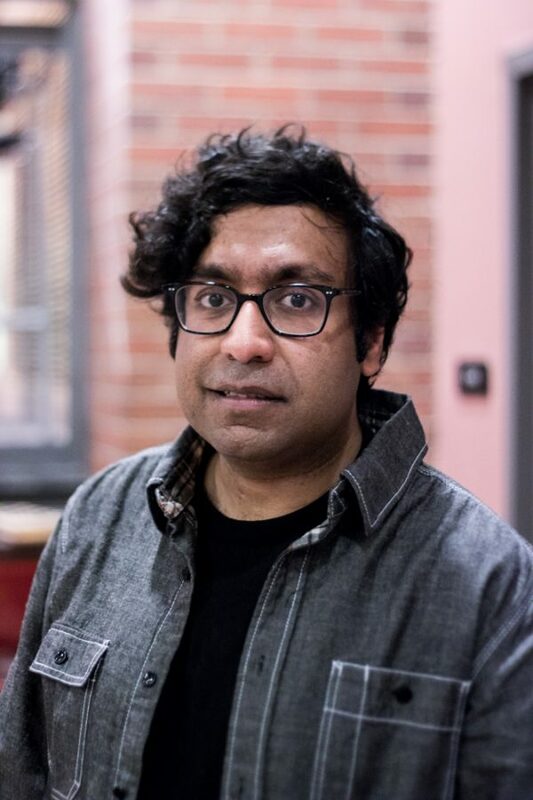 On Friday, February 3, comedian Hari Kondabolu took to the stage in Reid basement to deliver a brilliant range of liberal arts-themed jokes. He began the evening with a clever discussion of the college’s namesake, then moved into themes surrounding race, gender, religion and even mangoes. While not every joke hit its mark, those that did were met with raucous laughter and applause. Whitman Senior Megan Hearst spoke excitedly about the style of humor that Kondabolu brought to his stand-up comedy. These same sentiments were echoed by first-year Spencer Thulin. “The complexity of his jokes – he had some jokes that I could’ve sworn would go nowhere, the abstract art one – he was all over the place and I thought he was lost, but then he just brought it all together just like that, and so I was very impressed by that,” Thulin said. Kondabolu seemed intent on satirizing and deconstructing the pillars of a liberal arts college. He himself studied at Bowdoin College, a similarly small liberal arts college in Brunswick, Maine. 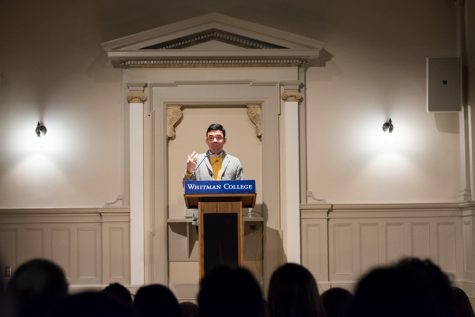 This familiarity with the atmosphere and institutions of the college allowed him to not only connect with the audience, but also to target many of the issues that Whitman students debate every single day, including race, gender, economic inequality, freedom of speech and religious zealotry. Whitman senior Erin Minus enjoyed hearing these frustrations finally expressed. “It’s nice to hear someone else who is also a little bit frustrated with a community that can be very homogeneous,” Minus said. One of the best features of liberal arts colleges is the forum that it creates; while Kondabolu expressed his happiness for this, he also attacked the notion of devil’s advocacy, which can often plague conversations or fail to add anything meaningful to the discussion. “He would say things that everyone’s thought about like, for example, the devil’s advocate thing – everyone has known that person in their class that will use it to say something awful then claim devil’s advocate,” Thulin said. This treatment of liberal arts tropes was furthered by Kondabolu’s willingness to say what everyone else is unwilling to. He, like many comedians, uses the stage to discuss the issues that are rarely brought to the surface, as well as those that are left to the political theater. With this performance, Kondabolu showed that comedy is an effective means of discussing more complex issues.